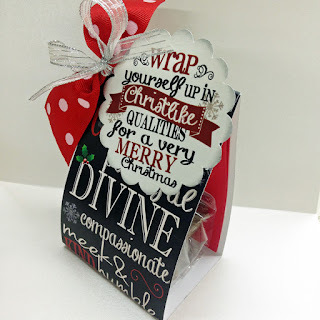 This month's Visiting Teaching Gift is perfect for the holiday season. We've taken a little black box and filled it with the message (of course!) from the Ensign, along with two Lindor chocolate balls (milk chocolate and caramel assorted), wrapped in a piece of tissue paper. 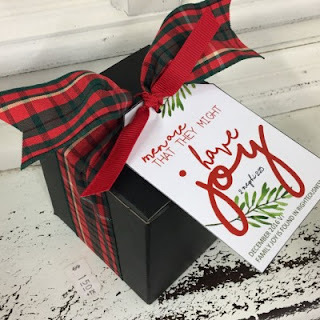 The box is beautifully tied with decorative ribbon and a tag that says "Men Are That They Might Have Joy" - a reference from the message. 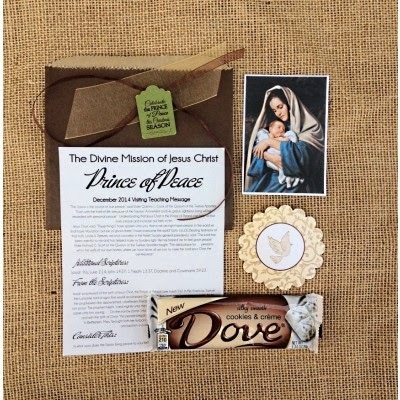 A message of Peace from the First Presidency is tucked in a brown paper sack - filled with hot cocoa packets - to remind your families to feel the Warmth of the Savior's Spirit this holiday season. Buy online here or in store! Have a Merry Christmas!